The Manufactured Day of Love is approaching fast! Do you have your present picked out yet? I’ll be the first to admit that I don’t but I’m getting some ideas with all the massage candles I’ve been making this week! 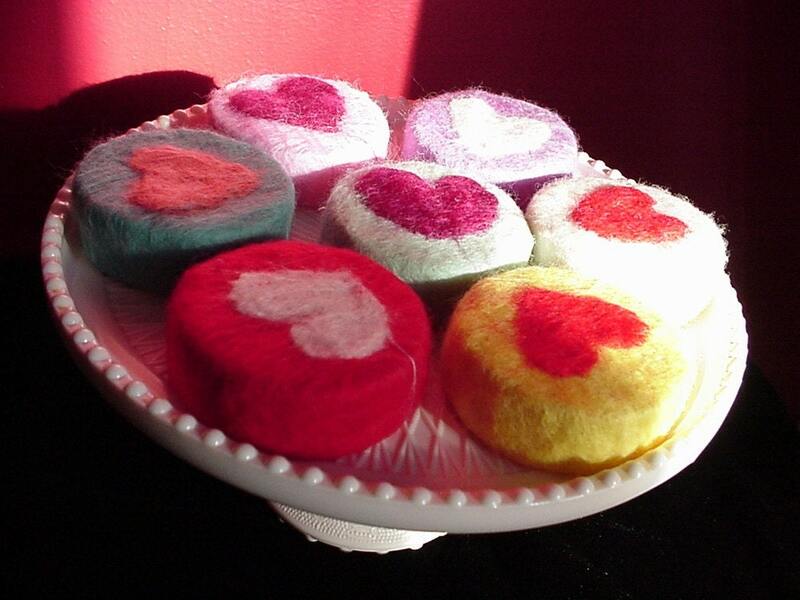 From Etsy, how about some Heart Felted Soap? $6.50 at AmeliaMakesArt in Portland, OR. The wool acts like a wash cloth with gentle exfoliating action. Soap is always a perfect gift so this Garden Party Soap from SoapyLove tfor $4.00 scened with Tomato Leaf fragrance is certainly Valentine-Worthy. This is a flexible soap mold for the bargain price of $12.00 (silicone molds normally run pricier). And, this might not be a gift for your sweetie but awwwww, isn’t it cute? And for $9, it’s a bargain! Get it here for the little munchkin in your life. 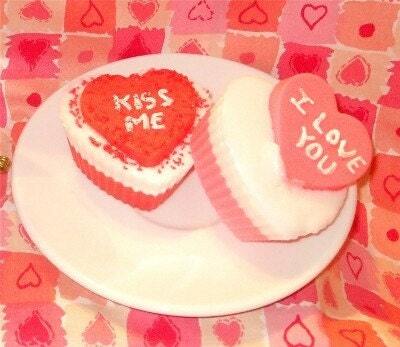 Finishing out the Valentine’s Inspriation collection is Conversation Soap Heart Cupcakes! A perfect meld of my favorite treat (cupcakes) plus my favorite art (soap), these topical pieces are just $4 per smile. Get yours here. adorable shoes! I am making flowers and hearts for my etsy shop. I am starting weight watchers today so will have to reward my weight losses with things other than food. Lets see, jewels, soaps, supplies. tattoos, what else can I think off? 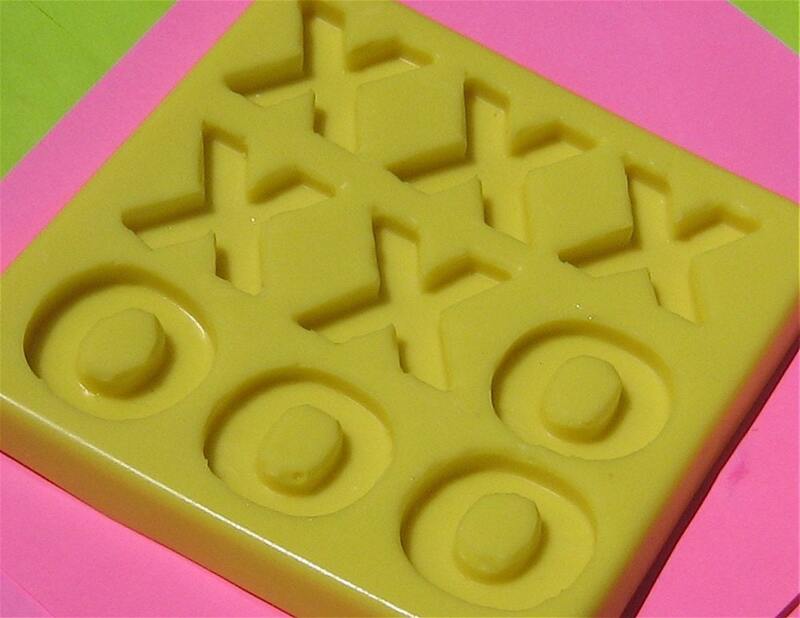 Thanks so much for posting my xoxo soap mold! I bought many flex molds I won’t have time to use–hope someone scoops this cute one up! I have some awesome Brambleberry scented cp soaps curing in my etsy soap shop…mmm…the Bonsai is GREAT! Thanks for reminding me, I have so much to do for V-day offerings on Product Body!! Yikes! 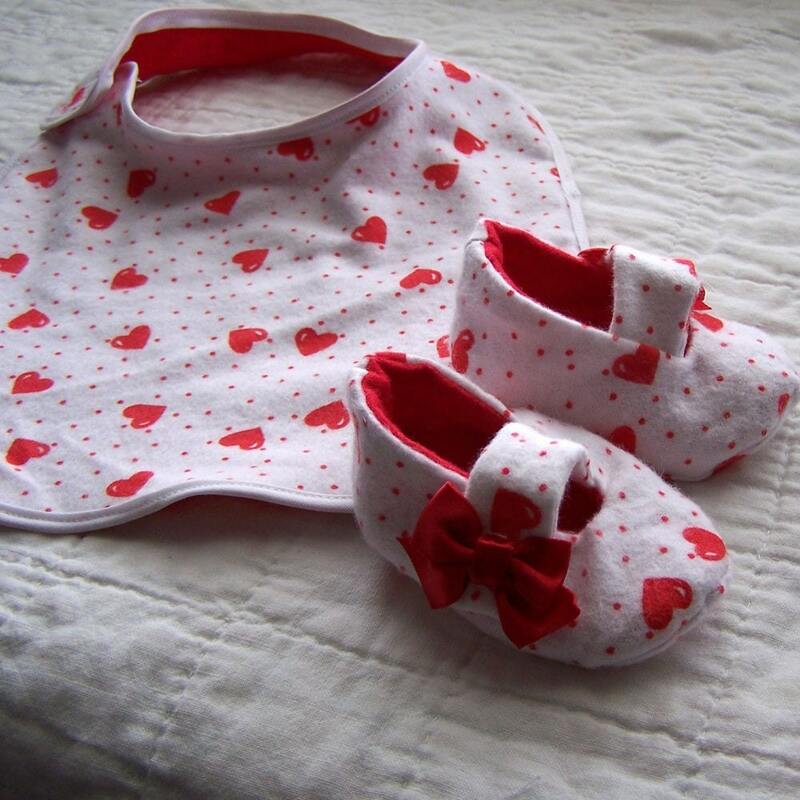 Oh I love the baby booties. And the cupcake soap is amazing! 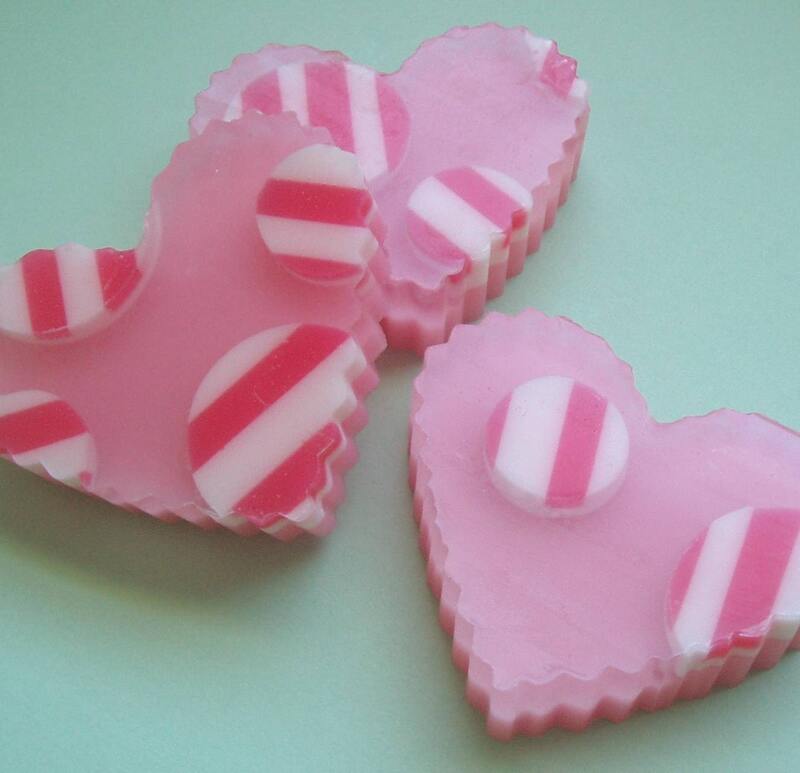 This inspires me to go make some Vday soap up right now!